JOAN LIPIS grew up in a Jewish home. Unlike her family, Joan knew God existed, but didn’t know what she actually believed about Him. During her university years she attended various churches for social rather than for spiritual reasons. Finally she began to get serious about being and living as a religious Jew. With a failed marriage, broken relationships and various career changes, Joan’s life was (in her words) a “mess” by the time she had reached forty. “I knew I hit bottom when I was hospitalized for severe depression.” While she was there, rage gave way to the pain she’d been suffering for years. God was there and He heard her. Within a year He sent a messenger, dressed in a three piece business suit to tell her about Jesus. When she saw a reenactment of the crucifixion and heard the words of Isaiah 53, she understood the Gospel. Suddenly, the Jewish holidays of Passover and Yom Kippur made sense. 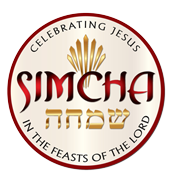 Beginning in 1990, she conducted evangelistic and revival meetings through celebrations of Passover. These celebrations resulted in her first book, “Celebrate Passover Haggadah”–an easy to follow guide designed for large and small groups. In 1997 God began to redefine Joan’s identity as a Jew. 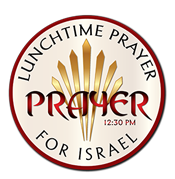 After a challenging meeting with an Arab Christian pastor, God spoke to her heart, ““You were so busy being Jewish and he was so busy being Palestinian, that My love couldn’t flow through you – either of you.” She was convicted of putting culture above His Kingdom. Finally she asked the question which changed much of her life and ministry, “God, You made me Jewish, why?” The answer was simple, “For My glory!” Being a Jew, living in Israel and believing in Jesus are a testimony and witness to God’s faithful covenant keeping promises. “When God gave me a Kingdom perspective, I understood that the holidays of my heritage are an inheritance belonging to the rest of God’s Kingdom – a community which transcends culture. God is making a Kingdom from EVERY tribe, language and tongue. “One day as a community we will worship Jesus together and celebrate His feasts. So why not start now? Her second book, “Celebrate Jesus!” is an attempt to help prepare us for that wondrous day as readers, churches, and families will embrace, adopt and adapt these Kingdom feasts and celebrations to his own unique culture while keeping Jesus pre-eminent. “Who” we are celebrating is more important than “how” we celebrate! 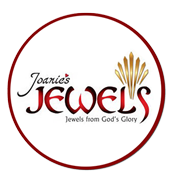 Joan is a popular conference speaker and has ministered throughout America, Europe, Asia, and Africa.